Outlyer is a self-service cloud services monitoring and analytics solution for DevOps/Operations teams. The tool enables DevOps teams to monitor all servers (Linux, windows...), cloud environments, databases, containers, and services almost immediately, and create custom metrics to help their teams get visibility into how microservices are performing. The GitHub-style account model provides DevOps with the ability to roll out Outlyer as a self-service monitoring platform for all development teams. The platform provides a unique plugin IDE that enables DevOps teams to quickly extend and customise their monitoring across the entire environment faster than any other tool on the market. Open Source compatibility means it's possible to easily migrate to Outlyer from existing Open-Source monitoring tools, and powerful analytics enable developers to get visibility and understand how their code is performing in production. The agents can be easily deployed via Puppet, Chef, Ansible or a simple shell script. 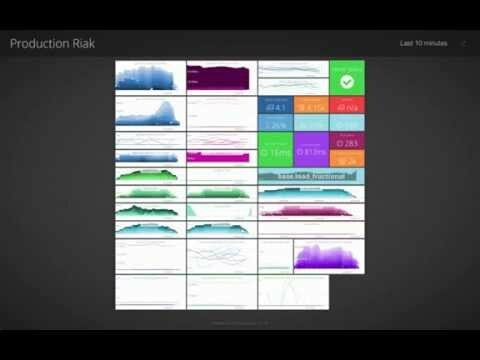 Users can create their own Dashing like dashboards by dragging and dropping the metrics, and project them on large TV screens. Outlyer also allows users to create public URLs so that anyone with the link can view the dashboard. Software by Dataloop Software Ltd. There are currently no reviews of Outlyer. Manage your IT environment from anywhere, using any device. Outlyer's lightweight agents automatically registers and deregisters as server comes into and goes out of the the environment which is helpful for auto-scaling groups. Users will be provided with the facility to tag servers via the Outlyer agent so that they can manage them at group/cluster level. Outlyer allows users to edit and test Nagios check scripts in their browser itself or via its command line tool to instantly deploy servers via the drag and drop feature. It enables different teams to create their personalized dashboards and share it via a public URL so other users can see them without any login requirements and can also project them on large TV screens. Users can create an alert with multiple conditions and can set different actions when an alert triggers. Below are some frequently asked questions for Outlyer. Q. What type of pricing plans does Outlyer offer? Q. Who are the typical users of Outlyer? Q. What languages does Outlyer support? Q. Does Outlyer support mobile devices? Q. Does Outlyer offer an API? No, Outlyer does not have an API available. Q. What other apps does Outlyer integrate with? Q. What level of support does Outlyer offer? Q. Which apps is Outlyer compared to most often?